At this point, we had visited as many places in Florida as we could before we would be working our way back towards the West Coast. With our RV still in the shop, we decided to set up camp in a vacation rental in Hilton Head Island, SC, while we waited. This would save on the cost of hotel rooms and give us some time to unwind. After being on the move for over 5 straight months, it was refreshing to stay put at the same place for an extended period of time. 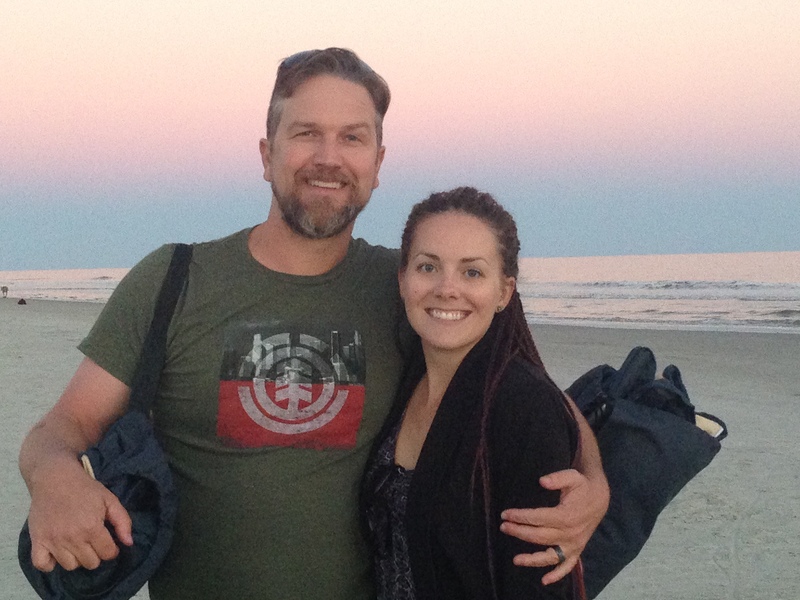 Once we had settled into the vacation rental on our first day there, we went to Coligny Beach. We discovered Coligny Beach when we first visited Hilton Head Island, and it had since become our favorite beach. 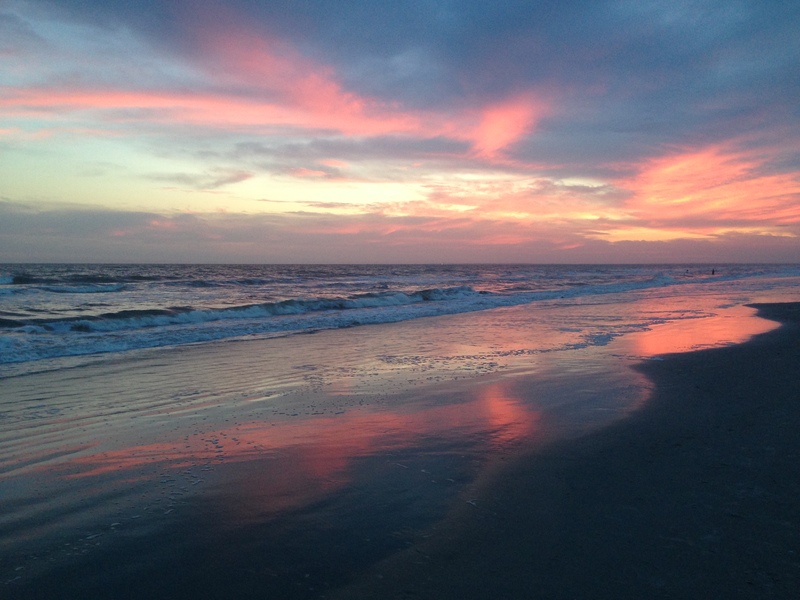 We had heard that Hilton Head was known for it’s sunsets and wanted to witness one. We reached the beach later in the day and were treated to the most spectacular sunset we had ever seen! The vivid coral pink streaked across the cloudy indigo sky and reflected in the shallow water of the shoreline. The sight was life-changing! The following day was our anniversary (together for 8 years and married for 5)! Despite having been together nearly everyday for the past 160 days, we had been feeling somewhat disconnected. 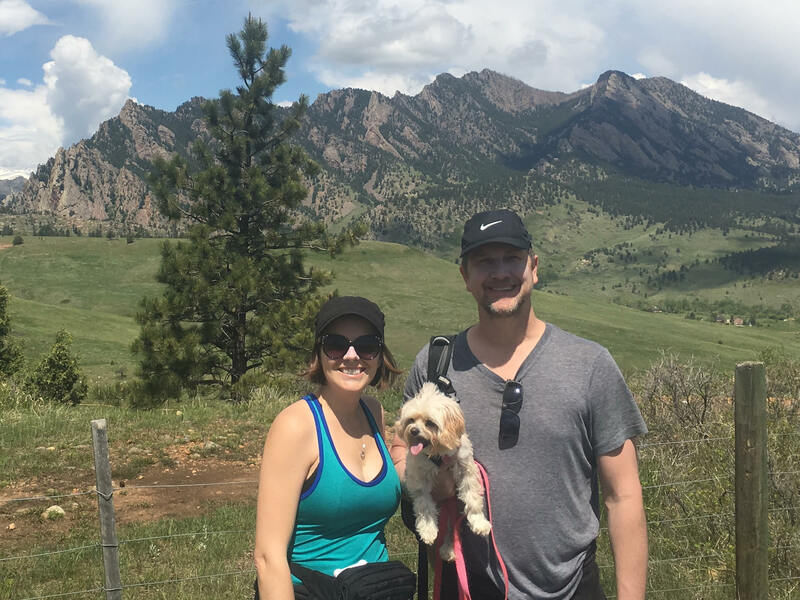 Traveling and living full-time in an RV with less than 400 square feet can be challenging for any relationship. Rather than focusing on each other and our marriage, we had been focused on where to go, how to get there, what to see and where to stay. We were in desperate need of some quality down time! For our anniversary dinner, we ate at the Lucky Rooster Kitchen + Bar. 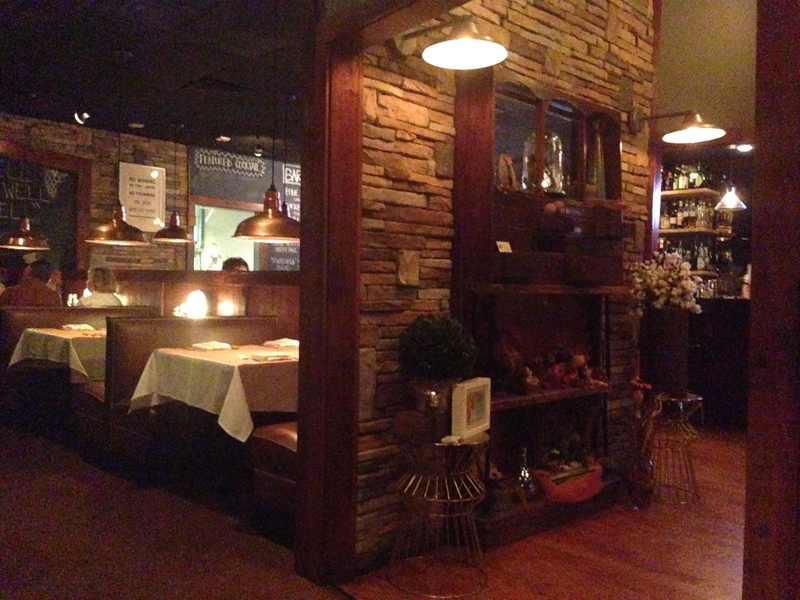 The rustic, yet intimate interior made for a romantic setting. Our meal wasn’t mind-blowing, but the waiter was attentive, and we enjoyed the overall dining experience. Hilton Head was peaceful. During our time at the vacation rental, we would often sit on the patio while looking out at the scenic golf course. The Spanish moss hanging from the majestic oak trees would sway in a subtle breeze as sunlight filtered through. Then the setting sun would light up the sky with glowing pastel shades. I was enchanted by the utter tranquility and euphoric effect of the serene ambiance. Many times I told Justin I might not want to leave. We visited Coligny Beach frequently during our stay in Hilton Head. We even took the pups with us and walked them on the dog-friendly beach. Most beaches are sandy, which makes the dogs sandy and creates an annoying mess. But the sand at Coligny Beach was compressed, leaving us and the dogs sand-free! It was a beautiful thing. In addition to beaches, Hilton Head also had many boardwalks that people walked, jogged and biked on around the island. We explored some of the boardwalk near Compass Rose Park and saw an alligator! One day we went for a drive out to historic Beaufort, SC. The quaint town featured old plantation style homes, enchanting vine-covered walls and more mossy oak trees. The Main Street of Beaufort was bustling with people perusing the shops and galleries. We strolled through the Historic Downtown Waterfront Park located along Beaufort River. As we walked through the park, we took in views of the water and boats docked at the marina before calling it a day. Other than a few outings, we were pretty much complete homebodies while staying at the vacation rental. The weather was chilly, but we didn’t mind because we kept using it as an excuse to stay indoors, watch movies, cuddle with the pups, Scrabble it up, enjoy the view from our patio, and cook (something I hadn’t attempted much of in the trailer). We used our time in Hilton Head as a vacation from our “vacation.” We didn’t consider our extensive road trip to be an actual vacation, maybe a break from the real world, but not a vacation in the true sense of the word. It wasn’t relaxing by any means. So after constantly being on the go for nearly half a year, it was nice to not really go anywhere. Overall, Hilton Head Island is a lovely, clean, quiet, safe, and friendly place. 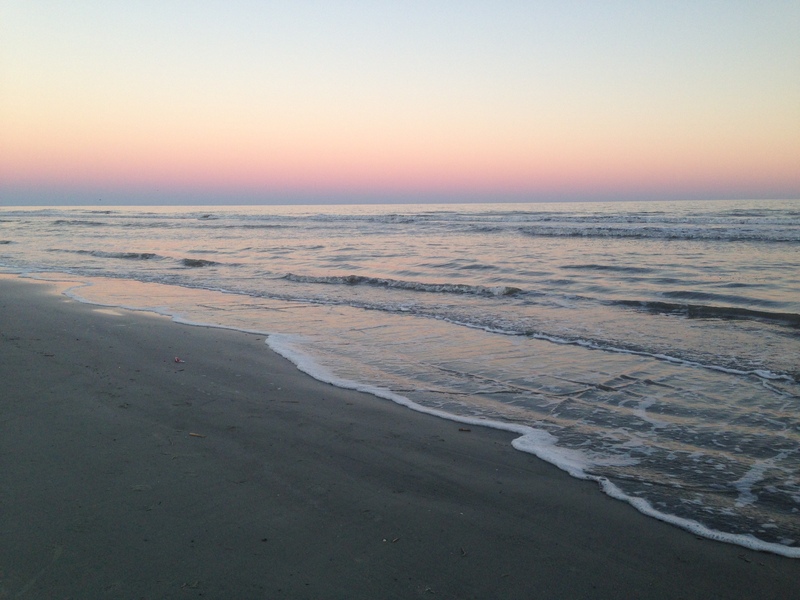 When we first visited HHI, I fell in love with the island’s serene beauty and charm. I thought we had possibly found our next home! However, we eventually realized that Hilton Head is an excellent vacation destination, not so much a potential permanent place of residence for us. After being there for nearly 3 weeks, we were getting bored towards the end of our stay. The island was small, and there didn’t seem to be much to do after awhile. Granted, we were there during the island’s slow season. I’m sure it’s much more lively in the summer. But, while I thought I wanted more of a quiet, simple, removed life in a smaller town, I learned that Hilton Head was too small for me. Even though we eliminated the resort town as a future home, we felt like our time there was well worth it. Had we continued staying in hotels the entire time, schlepping our dogs and all our stuff in and out over and over again, we probably would have snapped. Hilton Head Island, SC, saved us! We appreciated the relaxation the island provided and the comforts of the vacation rental, but we were ready to pick up our trailer and get back on the road!